All GPS devices I have seen are on the roof. Same for antennas, esp on police cars. I suspect some type of camera so they can view (capture) those vehicles that decide to ride up on them. In the view shown you can't tell it's a police vehicle except by what looks to be some type of bars in the side windows and some type of lights inside the back windows. Its a very well consealed under cover vehicle. I think it is a low profile VHF antenna. I agree. Really does make an unmarked car that much more unmarked. It's a pop-up anti-bad-guy device. Sprays oil and tacks, or maybe a laser beam. There is an edit button for your posts. You can edit it until someone 'replies'. No need to post the same thing 3 times. I'd live to see a 'delete' button as well, but that apparently isn't in the cards. There is an edit button for your posts. You can edit it until someone 'replies'. No need to post the same thing 3 times. 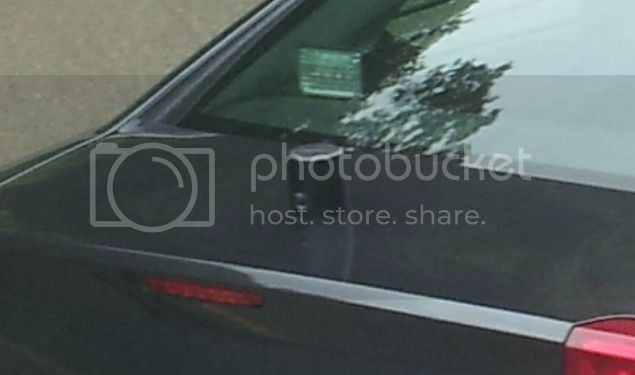 It's the antenna for the Mobile Data Terminal (MDT) laptop in the car. Anyone else here using Nortons? These are made by Laird as the "Phantom" low visibility antenna, available in black or white, and tune from 140 to 160 MHz, also for other bands, making them popular for a lot of services. Pretty easy to tune up and install. Anything on the rear trunk lid is going to compromise performance in comparison to a simple whip sticking up in the middle of a metal roof. Beside what you noted it has "municipal" tags and while that doesn't automatically mean police, it normally does in Pennsylvania for local cops, marked and most of the time, unmarked. It also has LED lights along the top edge of the tag. The links go to my "photobucket" account and while there may have been others that used the site for questionable purposes I can assure you I have not. I run Malwarebytes and MS Security Essentials and I've never gotten a message about any of my links to photobucket. .... GPS antenna. You can't really tell from the photo's but the small circle near the bottom looked like a camera lens in person which brought me to question what it was. 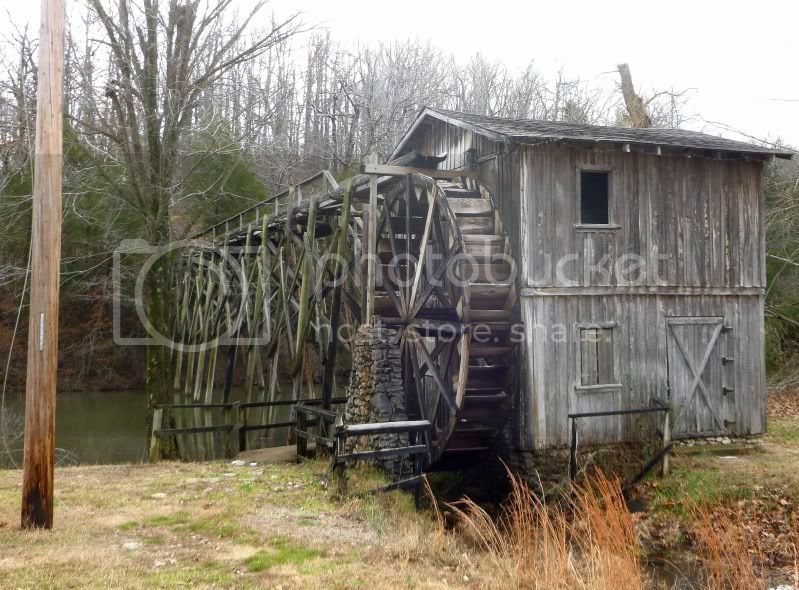 Here is a link to my pic of a grist mill. Does this trigger an alert for you? Try to view all of my photobucket pics. Does that trigger an alert? I've seen that warning before. It does not mean that there is a virus on the site. It means that, once upon a time, there was one reported. There should be a suggested method to have the anti-virus people recheck the site and remove the warning. BTW, I also have MSE and had no problem with the site. I discontinued my Norton 3 or 4 years ago because of false warnings and dragging down my FF. No, the grist mill displays just fine. And how do I find your other photobucket pix? The iframe element is not an inherently malicious HTML element. In fact, it has many positive uses. However, over the last number of years, attackers have discovered it is an easy way to carry off malicious code attacks like drive-by downloads. These malicious iframe elements are hosted on malicious websites, or in some cases, legitimate websites that have been hacked and had the iframe element inserted into their Web pages. I've used Norton Internet Security for 3 or so years now after reading reports of its improvement over earlier versions that really slowed down systems, etc. I had used Norton Antivirus or Internet Security in earlier years, then stopped when it became bloated. But I've been happy with it recently. I see an alert as I described earlier maybe a half dozen times a year and caution tends to have me avoid overriding the alert. I suppose the alert frequency for users depends a lot on which web sites are being visited. I doubt that a site like photobucket is going to be an issue if I did override the warning and see the images--but I choose to err on the side of safety and will skip looking at the two images provided. If you see a police car with four 12" antennas on the roof, those are for the Lojack vehicle recovery system.. 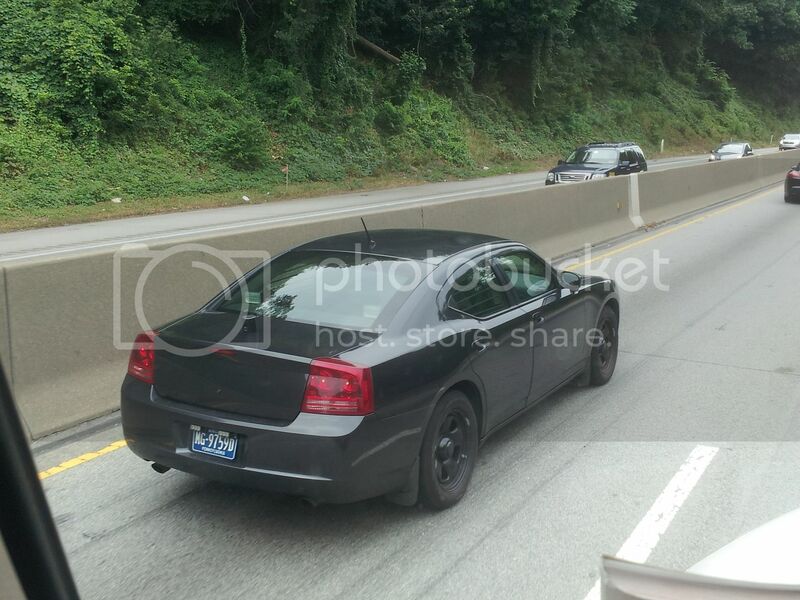 If you see a car sitting on the side of the road with cameras on the rear or front quarter panels those are for the license plate readers connected to the laptop that is connected to the DMV database.. Better hope your car is registered as you drive by..